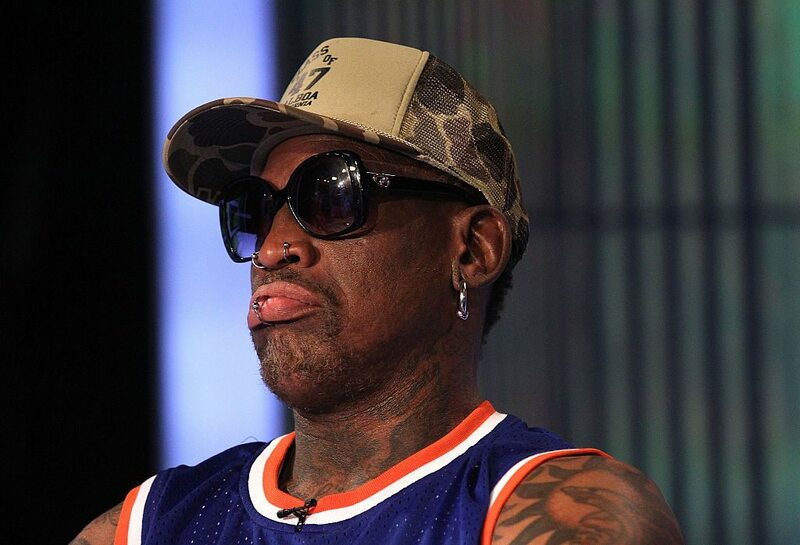 Dennis "The Worm" Rodman was known for his outstanding rebounding and colorful hairstyles during his playing days. More recently he made headlines by suggesting that he could mediate U.S./North Korea peace talks because he is homies with Kim Jong Un. He also has a propensity to get arrested and fail to pay child support for his kids. After making nearly $30 million in NBA salary alone, today the former baller is in debt to the tune of $1 million. One of the final players to enter the NBA straight out of high school, Swift certainly backed up those who support athletes going to college for a year. Maybe that extra time in school would have helped him better manage his finances. Though he's widely considered a bust, he still made $11 million over three seasons. Once he left the NBA, though, Swift's fortunes went south. He had to give up his $1.3 million home, and when it was finally seized it seemed to have been abandoned for months—the house was riddled with bullet holes and feces, among other signs of dilapidation. The 27 year old Swift is reportedly back living the with parents. 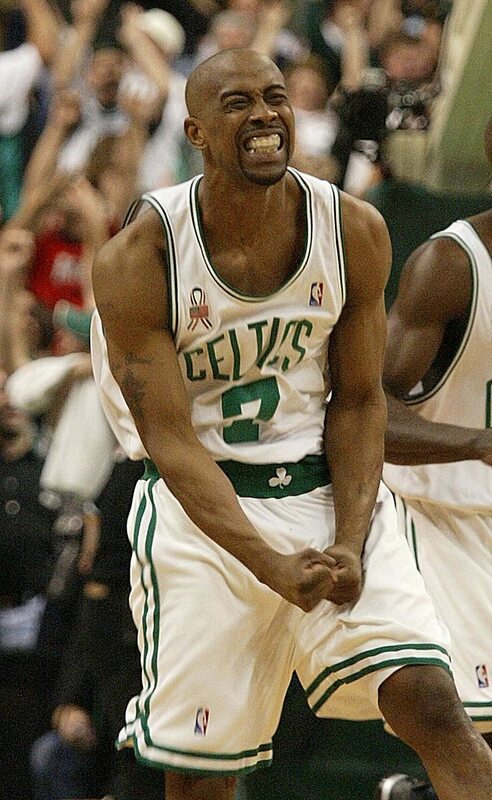 Caffey was a journeyman NBA player who won a pair of rings during the Jordan-era Bulls, but was his best as a member of the Golden State Warriors. That productivity led to a 7-year, $35 million contract. Not too shabby for one person, but when you've got several mouths to feed? Well, it becomes a little less luxurious. A judge refused to allow Caffey to file for bankruptcy back in 2008 because he owed child support to eight of his 10 children. He even served jail time for failure to pay said child support. Though he won a championship as a member of the "Bad Boy" Pistons, Mahorn has since made some bad financial decisions. The forward earned over $7 million in the NBA and continued to make pretty good bank as a commentator for the Pistons and coach for the Detroit Shock. Mahorn was ultimately forced to file for bankruptcy in 2010. In the bankruptcy filing, Mahorn cited poor investments, the declining value of his home, and owing over $200,000 to the IRS as reasons why he and his wife had just $1,101 to their name. And just to add the final kick in the rear, Mahorn apparently also owes $55 for overdue library books. Let's just hope they were good reads. Big Daddy Kane once told us "pimpin' ain't easy," and nobody in the NBA proved that claim quite as well as Kenny Anderson. He's had seven children with three different wives, and then proceeded to blow through his entire NBA fortune by providing support to two of his ex-wives and kids as well as his mother. As for the other ex-wife, she challenged their pre-nup agreement and strolled off with half of everything Anderson earned while they were together. Today Kenny is worth just $800,000. As a player, Shawn Kemp delivered some of the most explosive dunks ever witnessed in NBA games. My personal favorite of his came against the Golden State Warriors during the 1992 NBA playoffs. If that same dunk was performed in modern times, he would absolutely have been thrown out of the game for taunting. Meanwhile, as a different kind of player, Kemp fathered at least seven children by six different women. While he's not totally broke today, all that child support adds up. After earning over $90 million in salary alone, today Kemp is worth $5 million. And Kemp hasn't done himself any favors by getting arrested multiple times for marijuana possession. There's a glimmer of hope, though: one of Kemp's sons, Shawn Kemp Jr., is a sophomore at the University of Washington showing early promise on the cout. Maybe he can help dear ol' dad out with his financial woes. Walker won a championship ring with the Heat in 2006 and, when asked why he shot so many threes, replied, "because there are no fours." However, despite earning around $108 million during his playing days, Walker lost it all within a few years, and filed for Chapter 7 bankruptcy in 2010. He listed his debts at $12.7 million, and the filing included four pieces of real estate—three in Chicago and one in Miami. This came a year after he was arrested for writing bad checks for gambling debts that surpassed $800,000. Lately, Walker has been trying to get back into the NBA in some capacity; he expressed interest in the Celtics head coaching job, though it's far more likely he'd have to start far lower on the totem pole if any NBA team is willing to take a chance on him. With his checkered financial past, it could be a long road for 'toine. The man who famously talked about practice is now one of the saddest stories in the NBA. Thanks to a huge entourage that only fueled his reckless spending, Iverson has lost all of his $150 million from his playing days—and that's just his salary. With endorsements included, Iverson has blown through between $200-$250 million. A few months ago, he stood before his ex-wife during a divorce hearing and said he couldn't even afford a cheeseburger. That sounds far-fetched coming from someone who earned so much during his career until you hear stories like the time Iverson once withdrew over $23,000 from his bank account in a single day—to use at a hat shop, a steakhouse, a hotel and a jewelry store. He also routinely blew through over a million dollars in a few days of gambling in Atlantic City. On the bright side, Allen does have a big payday coming in the future but it wont happen until the year 2030. We learned recently that Iverson has a $30 million trust fund from Reebok that he can't touch until the 2030. Might be time to call JG Wentworth. Alcohol and gambling are pretty common vices for NBA players. Where you get into trouble is when you dabble in too much of both at once. That's when you're in trouble. Vin Baker found this lesson out the hard way after squandering almost all of his $100 million fortune. His home was foreclosed in 2008, and that same year he had to say goodbye to his beloved restaurant, Vinnie's Saybrook Fish House. Fortunately, Baker looks to be at least attempting to recover: he's currently studying to be a pastor, and says his pitfalls in the past were "too much time, too much money, not enough focus". Hopefully without the distraction of time and money, he can get himself back on track. 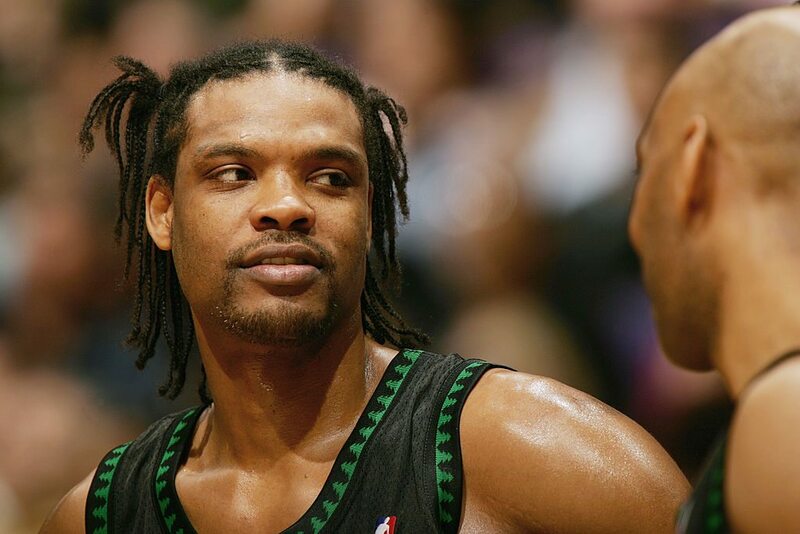 Sprewell was a productive player, but is probably best remembered for two things: 1) Choking his coach during a practice and 2) Turning down a 3-year, $21 million contract with the Timberwolves because it "wasn't enough to feed his family". Despite making over $97 million during his career on the court alone, Spree found himself on the short end of the stick when his yacht and home were both seized. In retrospect, he probably should have taken that final contract.